GP con barrage, 52 participantes, 4 sin falta, 2 sin falta en el desempate, 12.550€ el ganador, diseño del alemán Frank Rothenberger. In the 1.40m Silver Tour Grand Prix presented by Lindenberg Sport Horses, Edwin Smits went to the top riding Lantaro Von Hof (Ladirio Von Hof x Lombard). 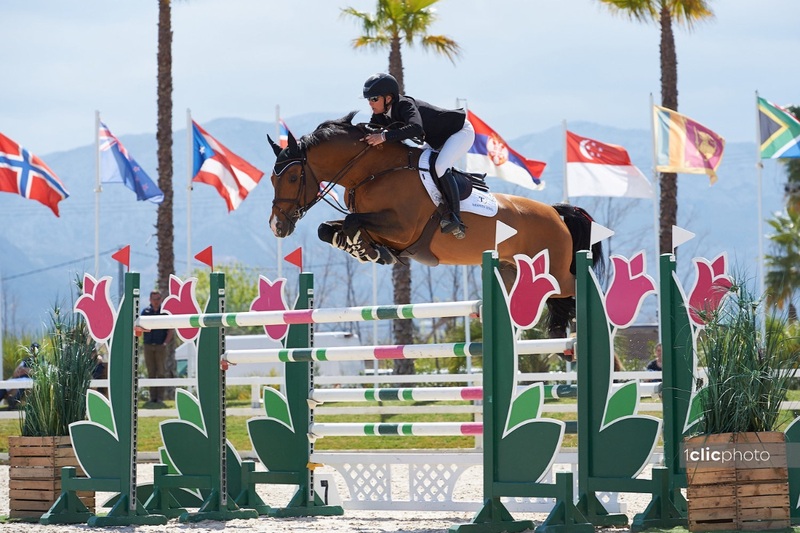 Chloe Winchester (GBR) followed in second place with Corcon (Corrado I x Contender), while third place went to Remco Been (NED) on Fitou Eurocool’s Apple (Lexicon x Maaswaal). 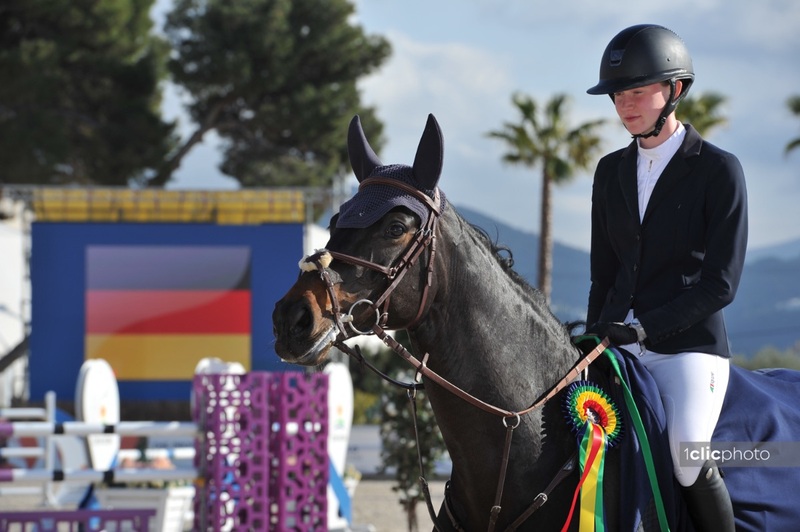 The 1.40m Bronze Tour Grand Prix presented by CHG – Construcciones Hispano Germanas S.A saw Isabelle Betz (GER) and Carmelita 30 (Diarado x Carry 22) on top of the podium. 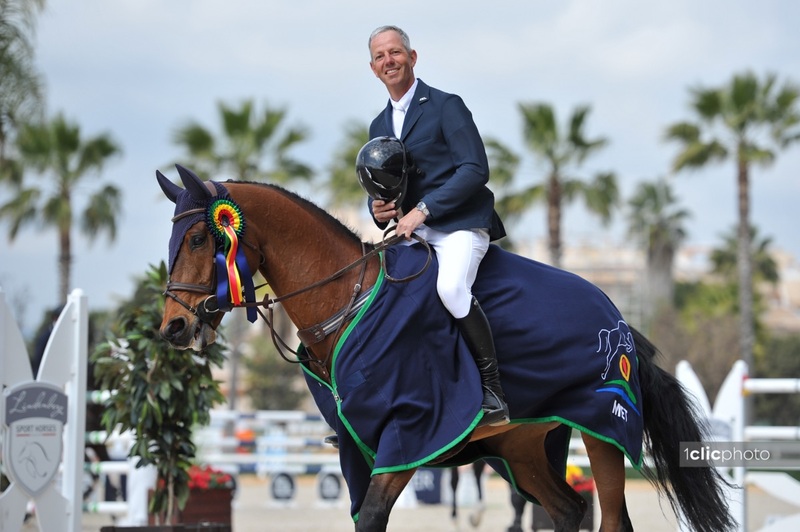 Betz was followed by Telmo Busca Roca (ESP) and Con-Qui La (breeding unknown) in second, while Ingrid Gjelsten (NOR) and Violetta D (Quinar x Candillo 3) ended third.Click here for full results from today's Grand Prix. The Spring MET III concludes tomorrow with the final day of competition. After a break of one week, the Tour returns for its fourth and last part running from April 9-21. For more info, visit metoliva.com.